The adjective I chose was "crazy" and the quote was "I'm not crazy, my reality is just different than yours". I chose this adjective because I get told I'm crazy a lot and I think being crazy is better than being normal. I chose this quote because crazy can have a bad connotation to it, but being crazy isn't always bad, it can just mean your reality and life is different. ​This pose had me lifting my hands up like a crazy person but being whatever about it because I tried to show how crazy can just be you and it's ok.
My photoshop experience was interesting. Tools that helped me a lot was the eraser and the magnifying glass because all you need to do is zoom in and it makes it very easy and the eraser helps you with a mistake whether small or big because you can change the size. For tracing, it was difficult sometimes because you have to pick a brush size that'll not be too bulky but not too light and difficult to make straight lines with but when you picked the right size, it was cooperative. Filling in colors like my clothes and shoes and making the lines a little thicker were easy but the skin tone fill in was hard. 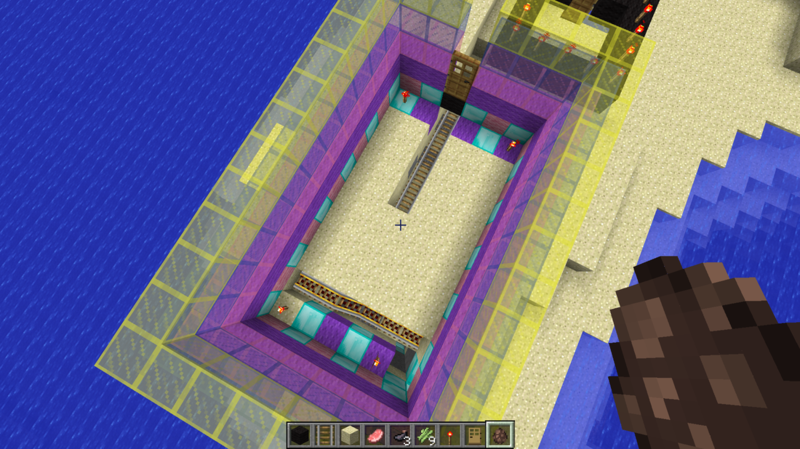 I created a house with the colors pink, purple, yellow, blue and I made a road track inside of it and stairs under the door. 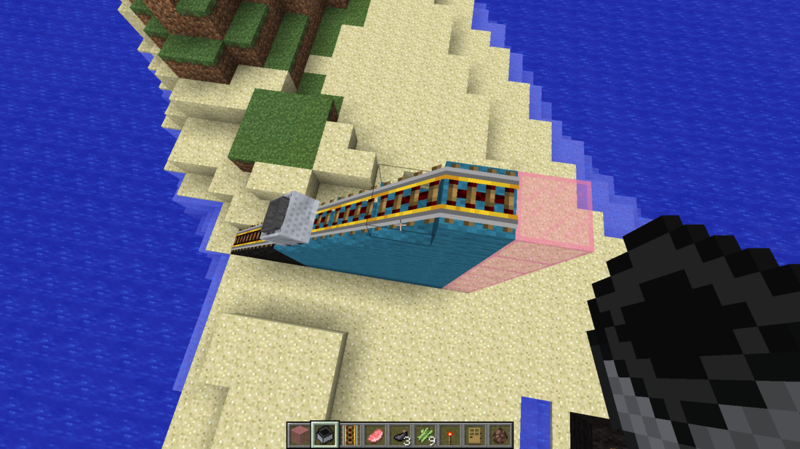 I also made a roller coaster type thing and had a cart roll down it. I didn't really know how to create or really even move in minecraft so I did not really have anything to create and then when I actually started to create a house and stuff, I took screenshots of the final product. Special features in my creation was the road track in my house, the stairs in the sand, and the different layers of colors. My favorite part about this class was bring able to create my own stuff and me getting time to do it. The highlights were being able to have fun and do work and sometimes you could do other things than a computer program. Being able to go in minecraft and build whatever I wanted was fun and the projects we did weren't even difficult except some confusions I had. I would change the pace and maybe have the teacher come around more and kids maybe be on the same stuff.